Galvanized Steel Containers bring back our old memories. 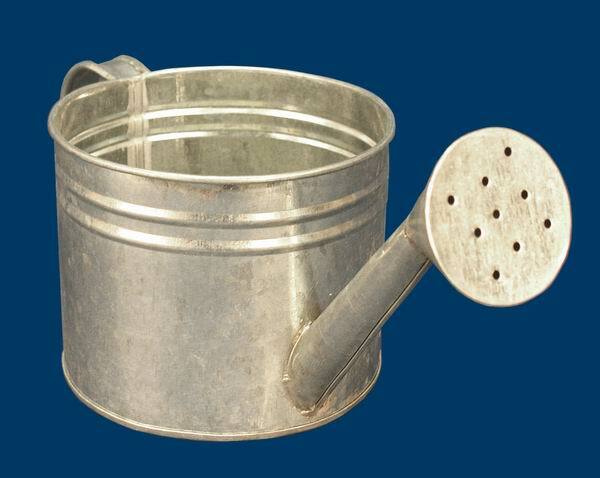 This watering can measures 5" in diameter, 4" tall, 10.5" from the spout to the handle. The dimensions are outside measurements. It is made of galvanized steel. This item is available only in Natural. It is leak proof.